Jerry finally decided to bite the bullet and give up his tech career at Apple to follow his food dream. Jerry always knew that he had a passion for cooking and wanted to be able to share his love for it with others. 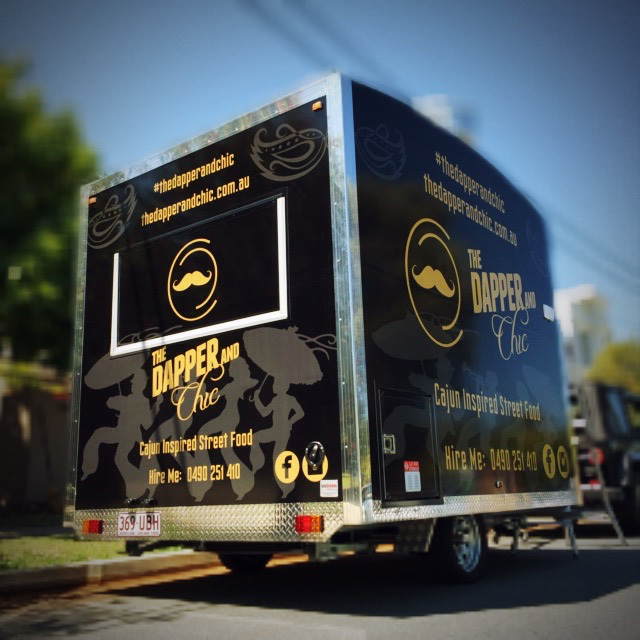 The team at Van Demons stepped in to help make his dream become a reality, and thus The Dapper and Chic was born. 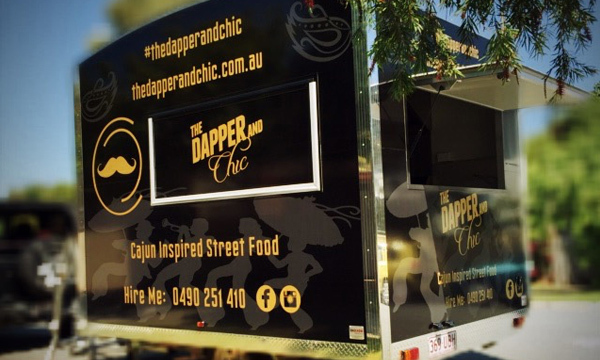 Serving Cajun inspired street food via this awesome looking 3m x 2.2m trailer with curved roof, the Dapper and Chic will be doing the rounds of the Gold Coast at markets, festivals and special events, with brunch, lunch and dinner menu items. 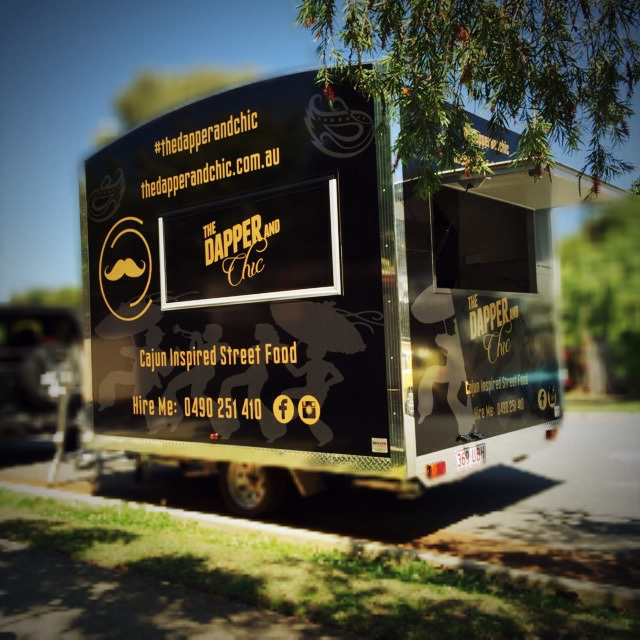 The Dapper and Chic food trailer is fully fitted with a commercial kitchen with all the usual top-notch finishes from the Van Demons crew – stainless steel benchtops, quality cabinetry, commercial grade non-slip flooring, commercial rangehood and appliances. We wish you all the very best Jerry. It’s so wonderful to see someone as brave as yourself giving up your career to follow your dream. When I first decided to leave my career to follow my passion for food it was a scary time for me. There were so many questions I had and throughout the process from the first idea to this final result you all contributed to this success. All I knew was how to cook some simple dishes and wanted to share my love for it with others. Everything else I knew nothing about. From kitchen equipment, registration, permits and insurance. You have all given me advice or put me on to contacts that could help me. From the first drawing to this end result nothing was too difficult. Thank you for all that you have done in helping me achieve my dream. It is now a reality. 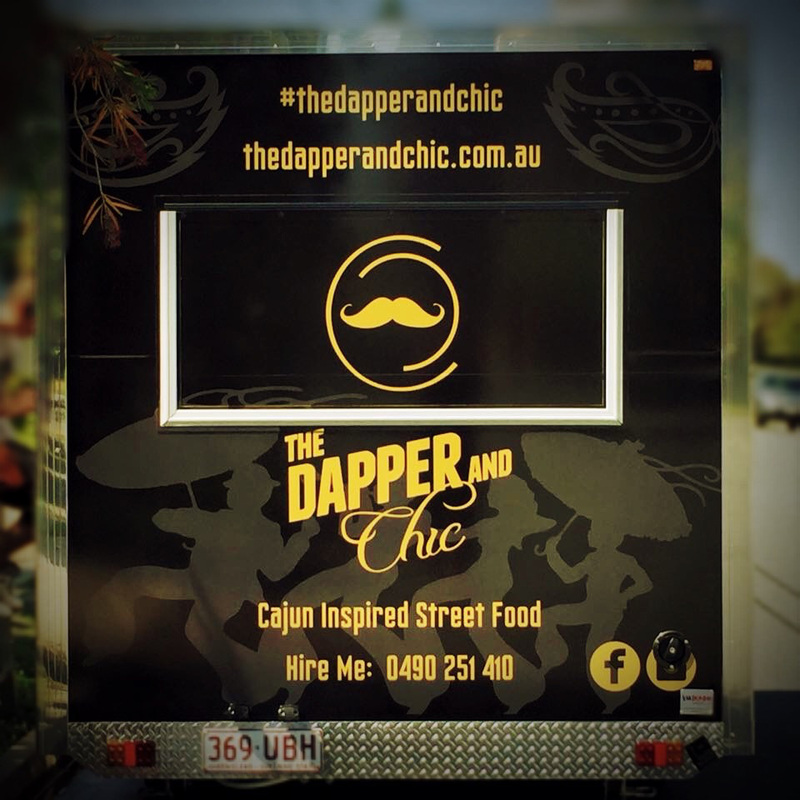 Take a look at The Dapper and Chic facebook page for upcoming events and some pics of some of the dishes that they will be serving. Yummo!